My husband and I recently bought a battery powered string trimmer at one of the local big-box home improvement stores. We absolutely LOVE it. Our gas powered string trimmer was a constant challenge and we never knew from one week to the next whether we could even get it to start at all. The new battery powered one starts with the quick press of a button. Here are some quick facts I read about gasoline powered garden tools today that made me feel even better about the purchase. They are in an article entitled Environmentally Friendly Gardening which I found online. Each week, 54 million Americans mow their lawns; a feat that requires an astounding 800 million gallons of gas per year and produces 5% of the county’s greenhouse gases. According to the EPA, one gas mower emits 88 lbs. of CO2, and 34 lbs. of other pollutants into the air annually. It’s not just the emissions that wreak havoc with Mother Nature, it’s estimated that 17 million gallons of fuel are spilled each year as gardeners refuel their mowers; more than the Exxon Valdes environmental disaster. Think also of the fuel for hedge trimmers, leaf blowers and chainsaws as well as the pesticides, herbicides and chemical fertilizers which have a huge impact on the food chain, water supply and health of residents. 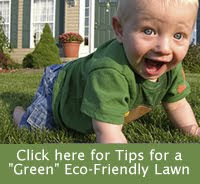 The article also mentions several of my other favorite eco-friendly tips, including: Avoid using any kind of poisonous chemicals in your garden and get rid of your lawn. Go ahead and give it a read while I finish trimming up around my gardens.